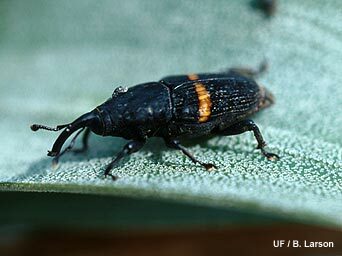 This little guy, the Mexican bromeliad weevil, has been plowing through the air-plant population of the Everglades and residential neighborhoods. Well, now scientists have discovered species of fly in the Honduras that feeds on these particular weevils, and are releasing these flies here to kill off the population. Really interesting glimpses into the local habitat here.